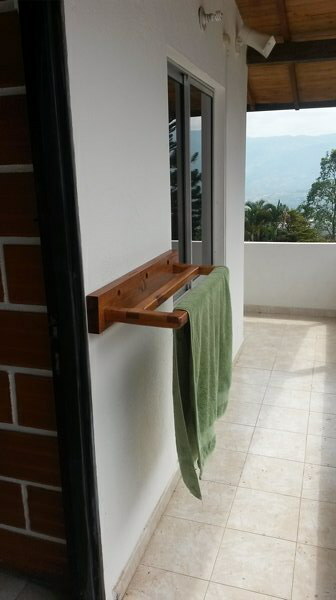 An Englishman in Colombia: Nothings Easy! I should know by now to keep my trap shut... I think something is hard, and it goes smoothly, I think something is easy, and it takes forever. 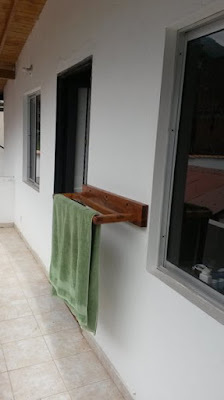 I must have spent an hour and a half last night, just trying to attach the drying rack to the house wall on the balcony, the problem is that the 'bricks' are hollow, and nothing would hold. In the in end I gave it up as a bad job. 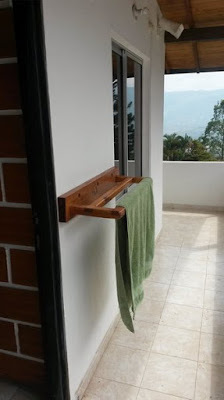 This morning I headed off to Homecenter, and bought two different types of wall fasteners, fortunately the first I used worked, and I now have the drying rack up and working. I have decided to go and finish the doorway at the other house on Sunday, there is an National Anti-Government Rally and General Strike, as I want to be able to renew my Visa next year, I am keeping well out of the way!